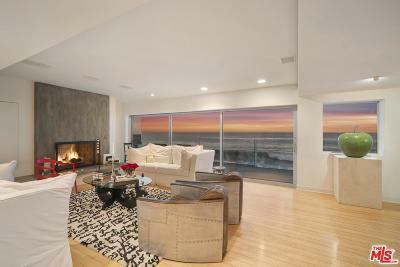 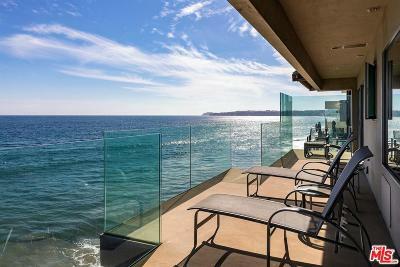 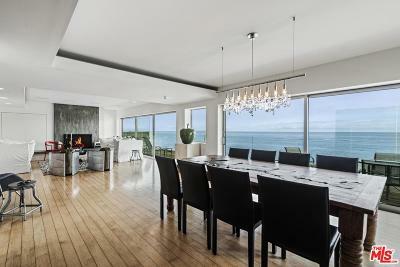 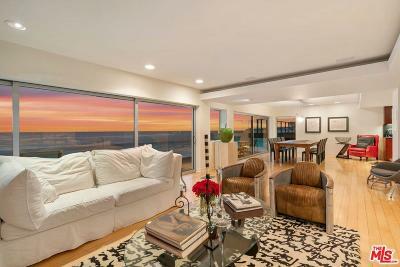 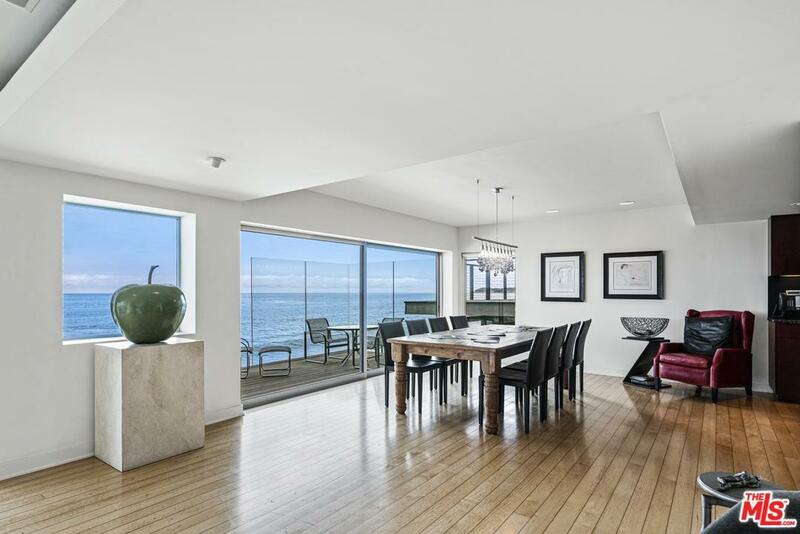 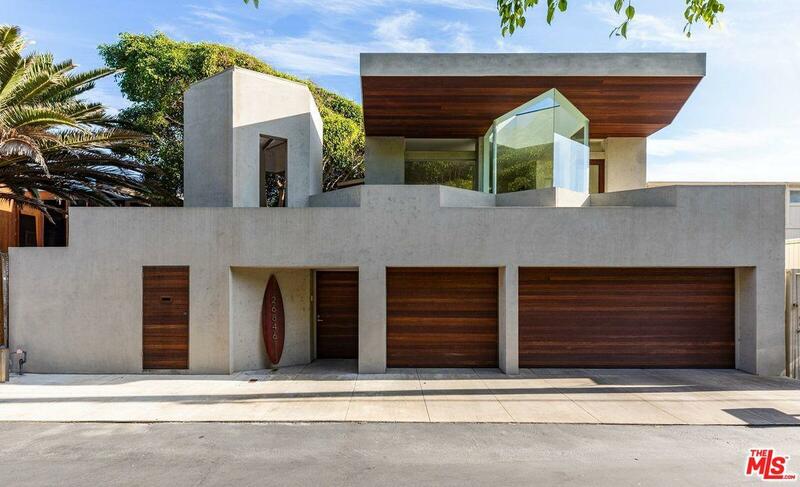 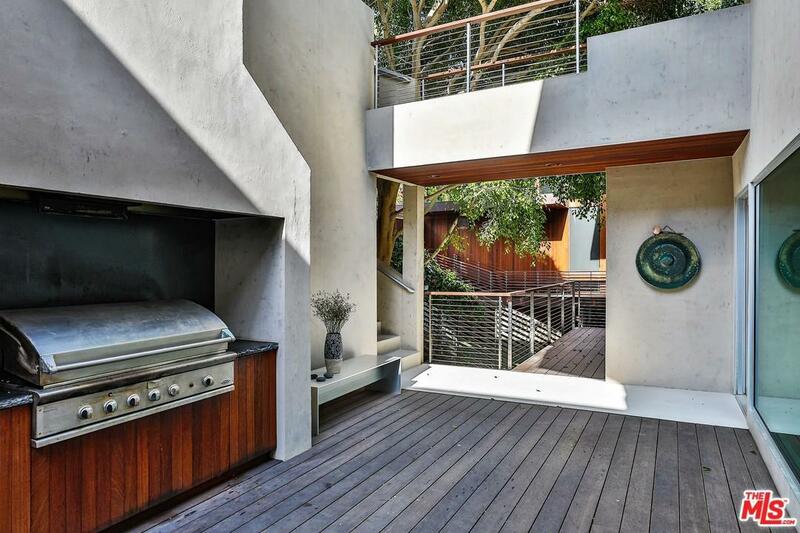 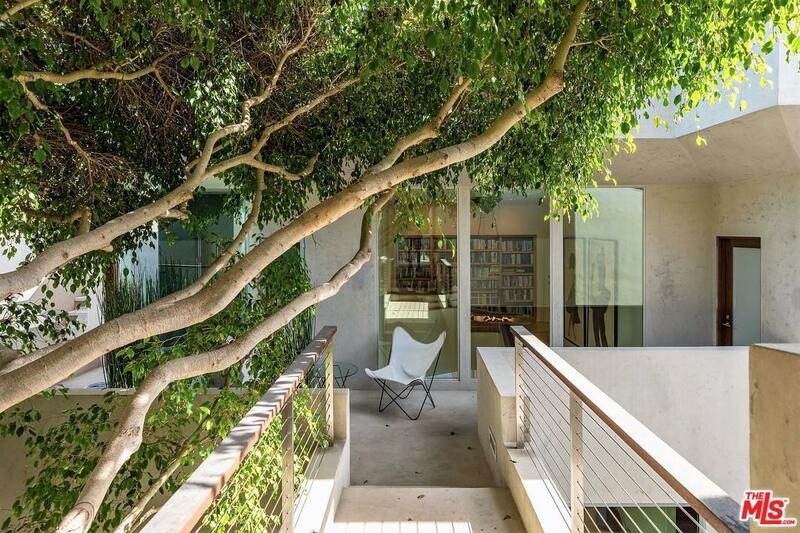 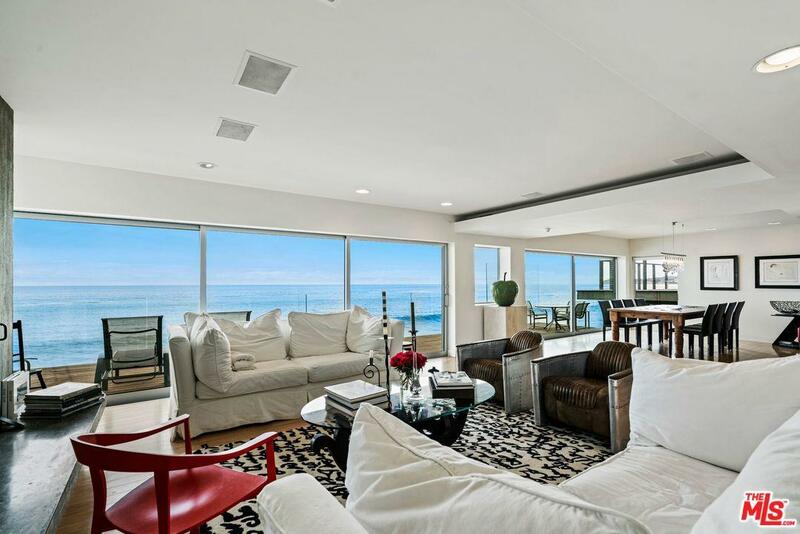 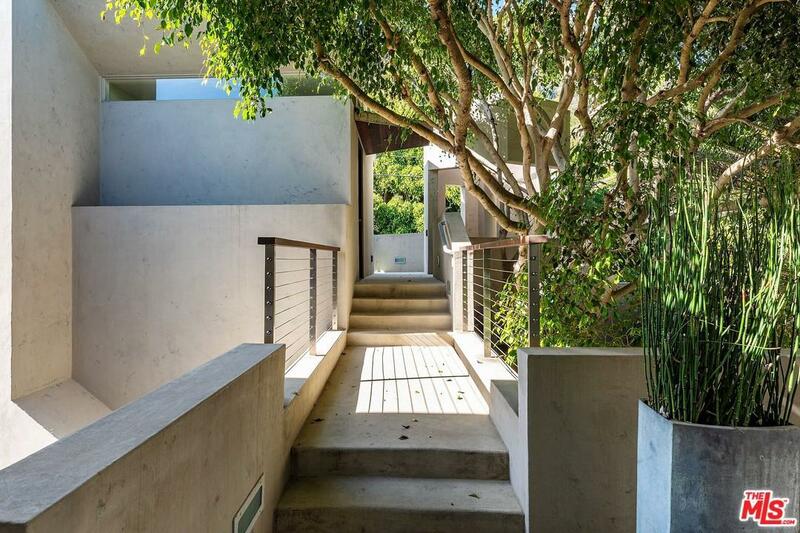 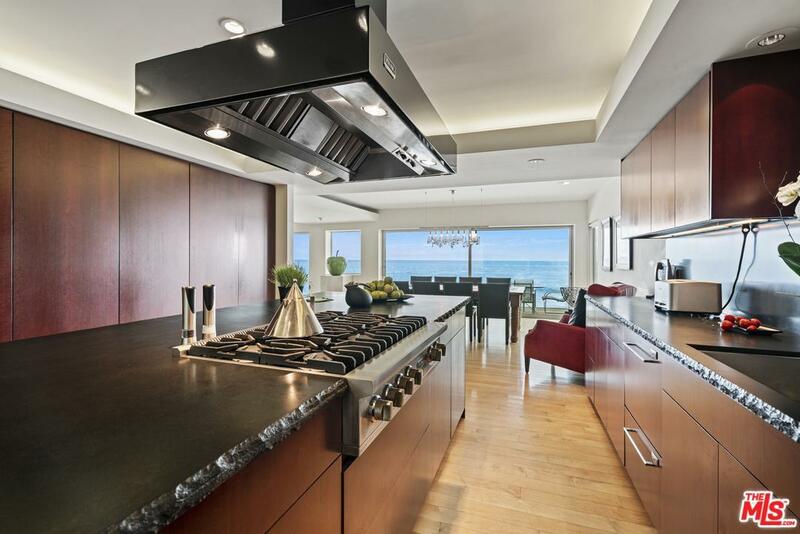 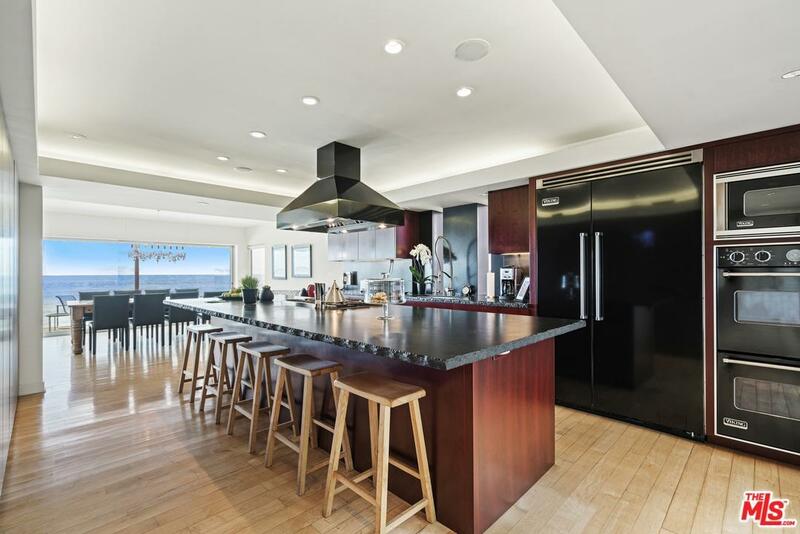 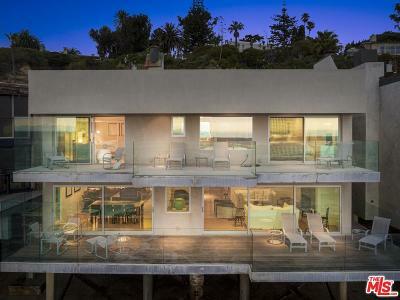 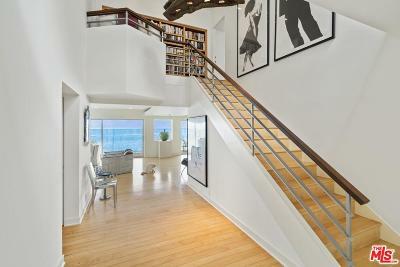 A beautiful Architectural Home located in the guard gated community known as Malibu Cove Colony. Beautifully maintained three bedroom home plus guest house/office provides panoramic ocean views & city lights views at night. Once inside this beachfront gem, you'll be welcomed by the two story entry leading into the great room. 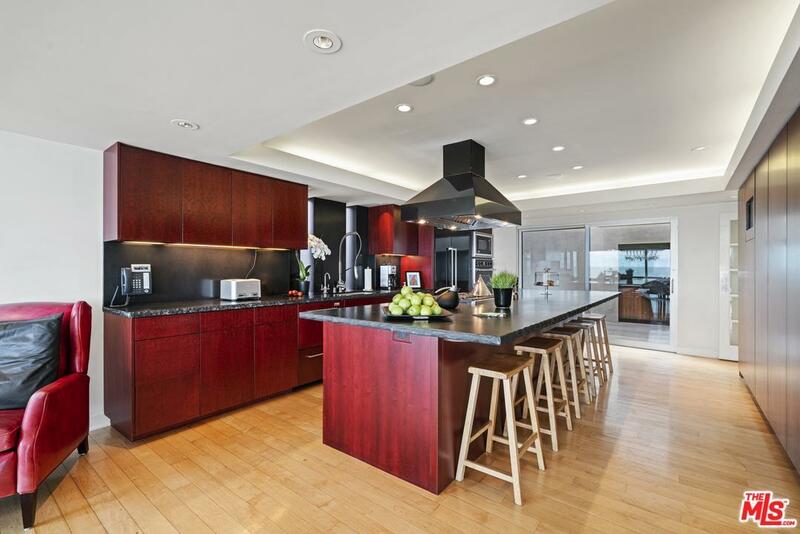 Maple floors & Brazilian hardwood (Mangeras) doors & decks throughout, add to the quality of this special home.A spacious cook's kitchen w/sleek cherry cabinets & granite counters will be the "hang out" area for entertaining guests. 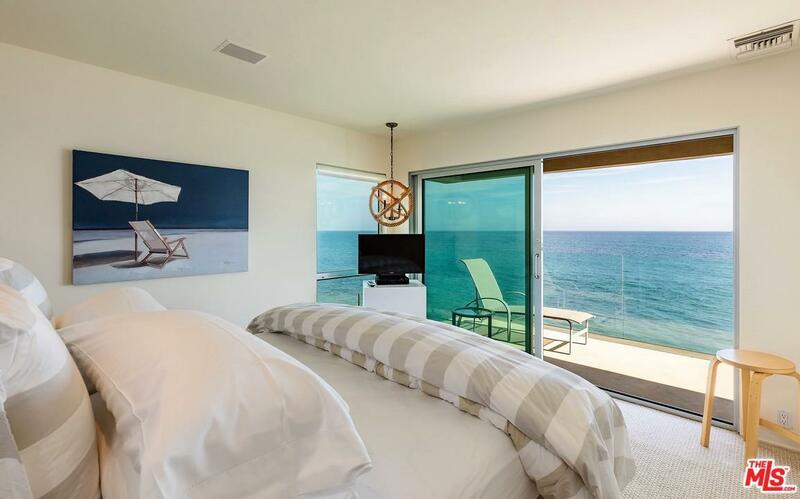 A third bedroom & bathroom complete the downstairs along w/ wide ocean front deck for outdoor dining or lounging. 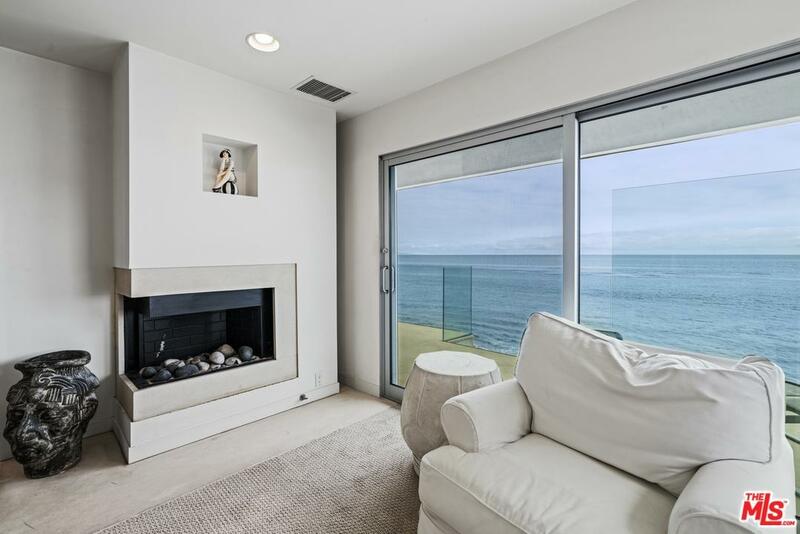 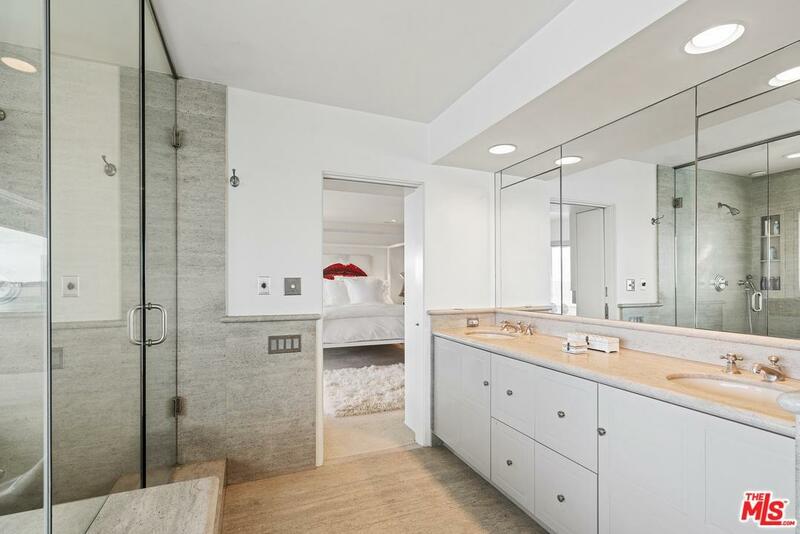 Upstairs, the main bedroom w/ huge walk-in closet & luxurious bath w/limestone floors & counters & adjacent warm & inviting guest suite all enjoy ocean views. A separate self-contained guest house/office is above the 3 car garage. Easy direct beach access affords the chance to take those magical walks on the sandy beach.